The Student’s Book with answers allows students to familiarise themselves with IELTS and to practice examination techniques using authentic tests. It contains four complete tests for General Training candidates. An introduction to these modules is included in the book, together with an explanation of the scoring system used by Cambridge Assessment English. There is a comprehensive section of answers and tapescripts at the back of the book. Downloadable audio contains the listening tests material. The Student’s Book and Audio CDs are also available separately. You can also download Cambridge IELTS 11 for General Training Module & Cambridge IELTS 12 General Training Module PDF and Audio to get yourself familiarized with the IELTS test. 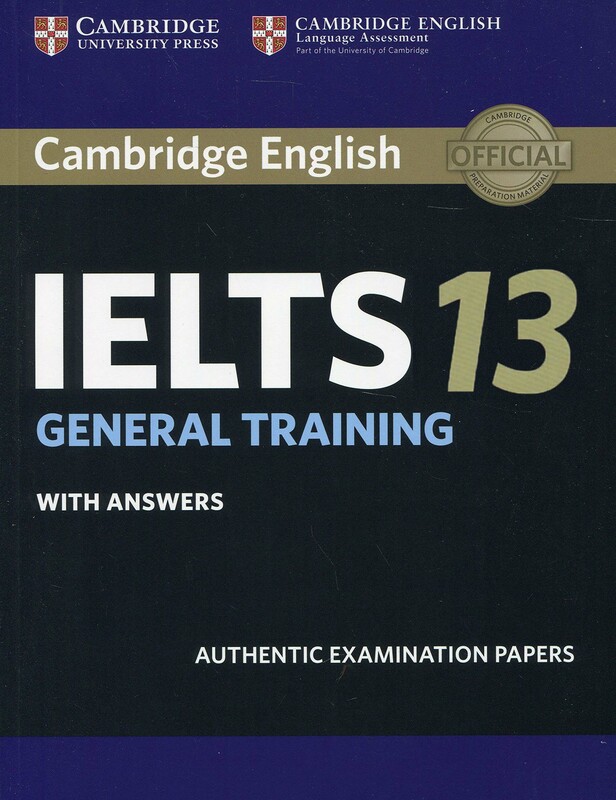 For IELTS learners taking Academic tests, check out Cambridge IELTS 13 Academic Student’s Book With Answers. I am preparing for IELTS training test. Can you please share IELTS 11 & 13. Would much appreciate if i get any other material for preparing IELTS general test. Please e-mail me link to download pdf + audio. Many thanks! Anyone out there, could you please share the downloading link for general reading 13,if shared, it would be appreciated? hello there, I need cam 11 and 13 general training.